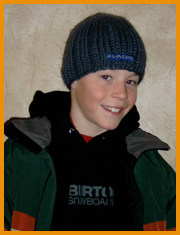 Overview form Matty: I was stoked when I saw this Burton snowdeck! This isn't the plastic snowskate I've used in the past...this board can really move! My friends who skateboard all want one now! I can't wait to bring this snowsdeck with me when I compete in Maine at USASA Nationals for snowboarding. They have a snowskate park there!! 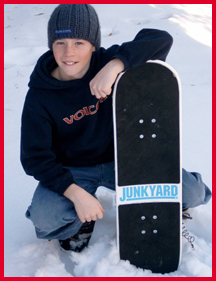 When I'm not competing in my events...you know I'll be in the snowskate park with my Burton Junkyard! Functionality: You can use this snowdeck to do a variety of tricks. Its size allows you to bring this deck with you to any location. The attached leash makes it possible to use at some resorts but also offers added safety when you just want to shred on a local hill. How it is made: As you would expect from Burton, this product is very well made. The moment you take this out of the box you realize that you have a piece of quality sports equipment, not a toy! This deck is rock solid! The coil leash, while necessary for safety, might need a little work. The coil stretches out of shape with frequent use causing it to drag. This snowdeck will without a doubt, hold up well for many seasons to come! Use: Matty used it right away when he opened the box. He was impressed with how smooth the ride was. 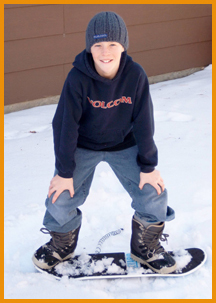 This board is substantial, making it easy to use for his friends who had never tried a snowskate before. The Burton Junkyard is an excellent choice because novice to expert can enjoy it. This snowdeck functions well on your local backyard hill but wait till you get to a resort, then you can really move! Performance: The Burton Junkyard moves well down the hill. The skate on the bottom makes for a smooth, quick ride. The edges make the board easy to maneuver making it possible to do a wide variety of tricks. The trac mat offers awesome traction, even when your boots are full of snow. No more wearing your skateboarding shoes into the snow just to stay on your snowskate! The size and weight of this snowdeck make it easy to transport to your local hill or up the mountain! Cool factor: It's a Burton! Of course it's gonna be cool!!! Or visit Burton's website for more info.